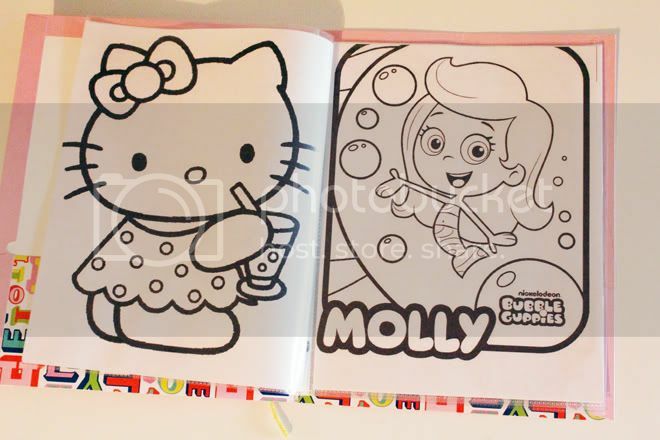 Save yourself some money and make your own re-usable coloring books! It's not new news that Miniboss loves to color and being the cheapo that I am, I hate buying her coloring books that she's just going to toss and rip all the pages out of. 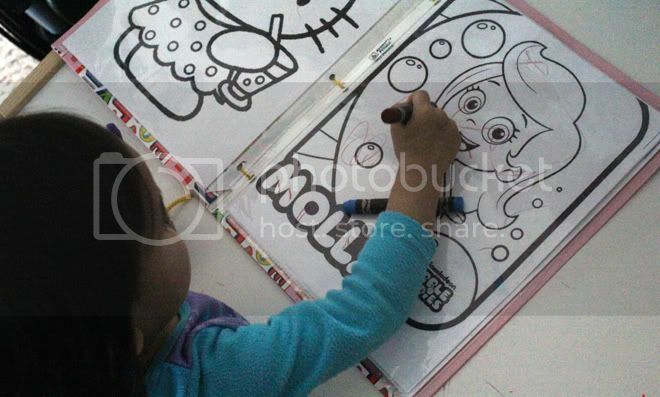 She's too young to know how to color in the lines, and all her "work" goes everywhere lol. 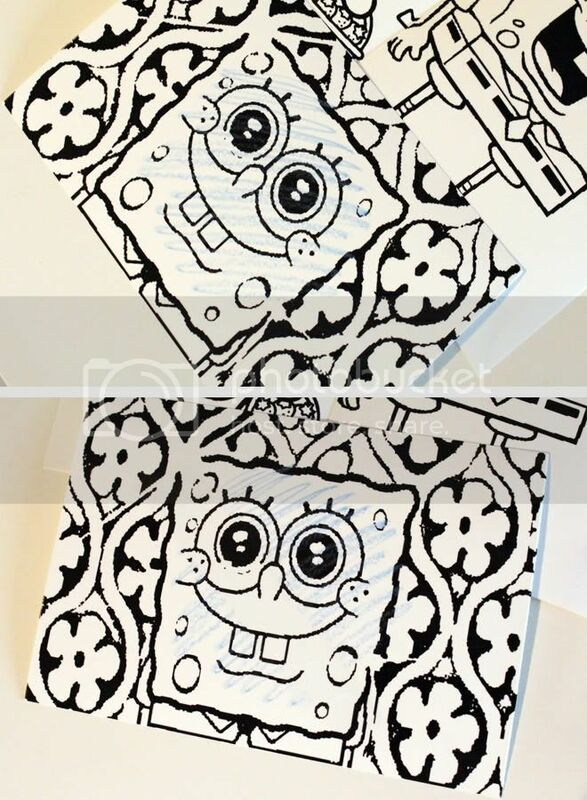 So I made my own coloring book. I just googled a few of her favorite characters, she loves Bubble Guppies, and Spongebob. 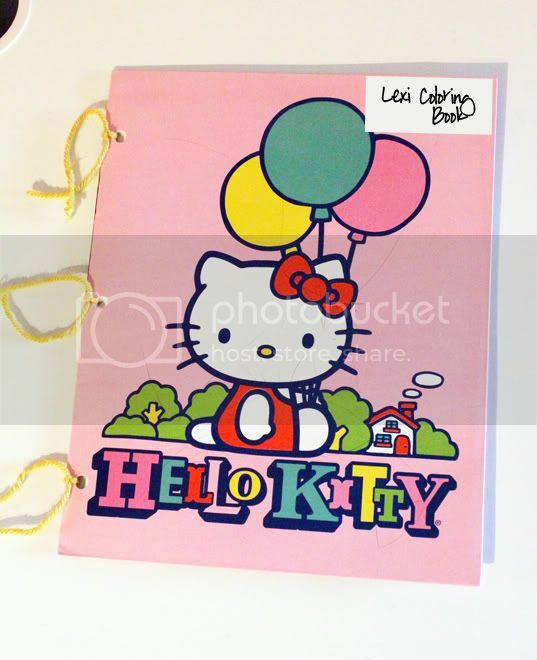 Hello Kitty was all me heheh. Then I printed them out on regular paper. 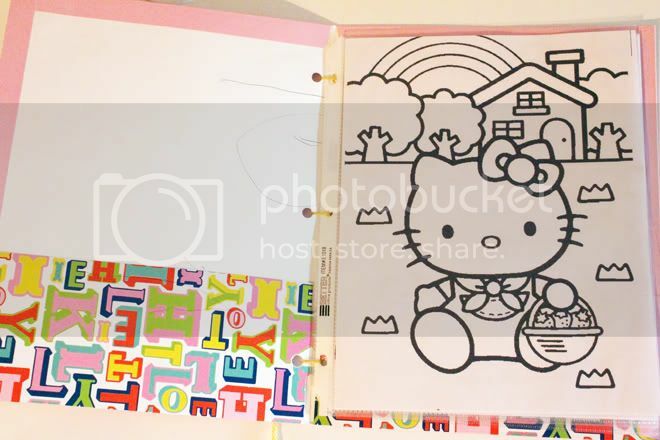 Then I put them in clear plastic page protectors, and put them in a Hello Kitty folder. To keep them all in place, I just used some left over yarn and tied it. You have to use Crayola washable dry erase crayons for this to work! After she's done coloring I just take the wipe cloth that comes with the crayons to wipe down the plastic and it's ready for next time! Too much work? Too little ink in your printer? Just plain super lazy to go find all the materials? Or maybe you don't have plastic protector sheets or yarn or a folder or binder...Fear not, I also tried printing the images onto glossy 4x6 hp photo paper! Then I tested it out with the dry erase crayons.. Totally works! I just used my finger and swiped off the crayon! I should have used a darker color, but you get the point. 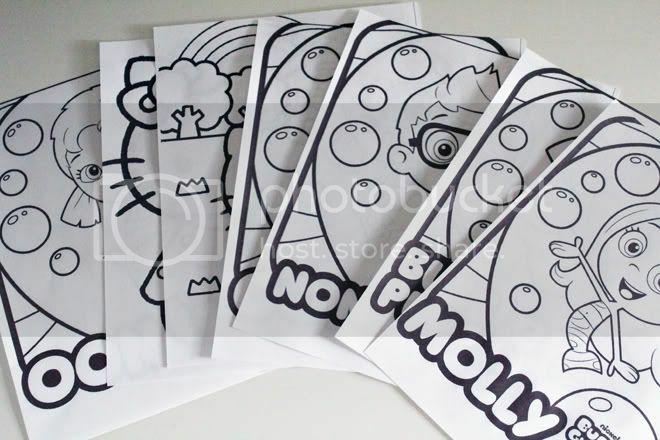 They look like little postcards :) You could hang them or put them all in a box with the crayons for the next time you have a road trip or just want to keep your little ones busy! 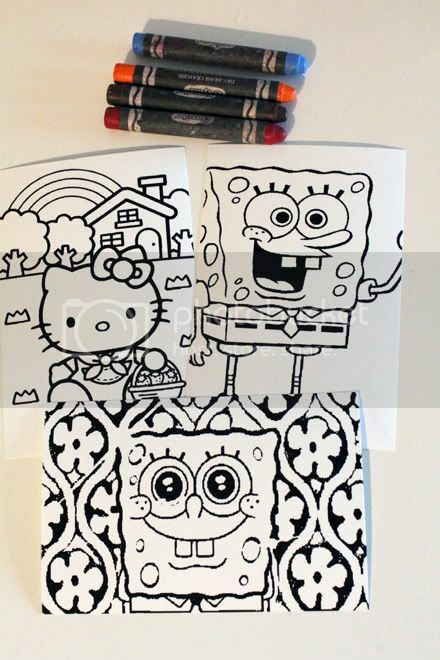 You can find the coloring pages here.Spongebob, Hello Kitty, Bubble Guppies did not have a page to get it from, I had to do a google search and just saved them to my computer from a bunch of different sources.